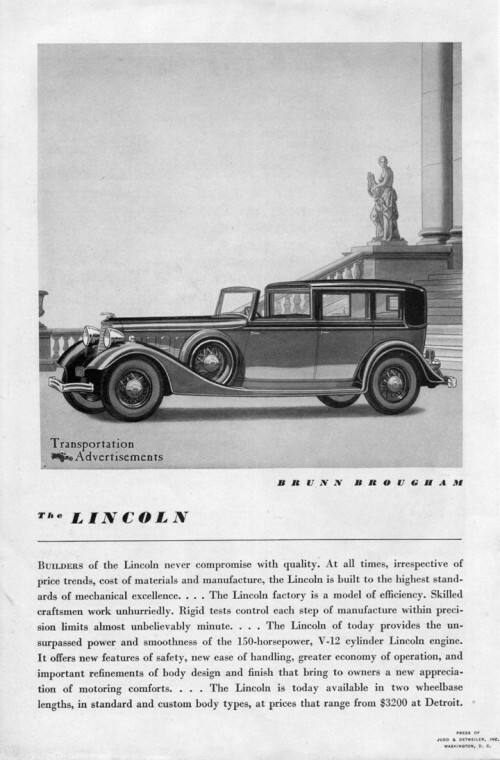 Builders of the Lincoln never compromise with quality, At all times, irrespective of price trends, cost of materials and manufacture, the Lincoln is built to the highest standards of mechanical excellence… The Lincoln factory is a model of efficiency. Skilled craftsmen work unhurriedly. Rigid tests control each step of manufacture within precision limits almost unbelievably minute … The Lincoln of today provides the unsurpassed power and smoothness of the 150-horsepower, V-12 cylinder Lincoln engine. It offers new features of safety, new ease of handling, greater economy of operation, and important refinements of body design and finish that bring to owners a new appreciation of motoring comforts. 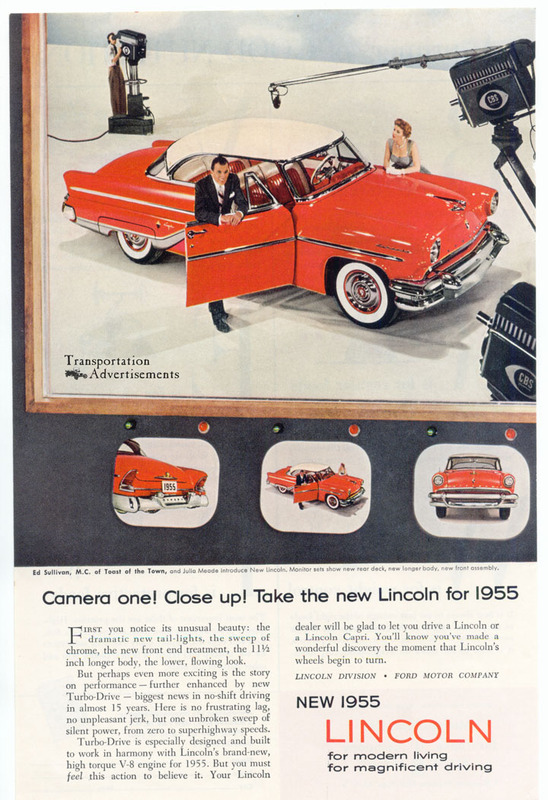 … The Lincoln is today available in two wheelbase lengths, in standard and custom body types at prices that range from $3200 at Detroit. Transportation Advertisements is powered by	WordPress 5.0.4 and delivered to you in 0.412 seconds using 32 queries.